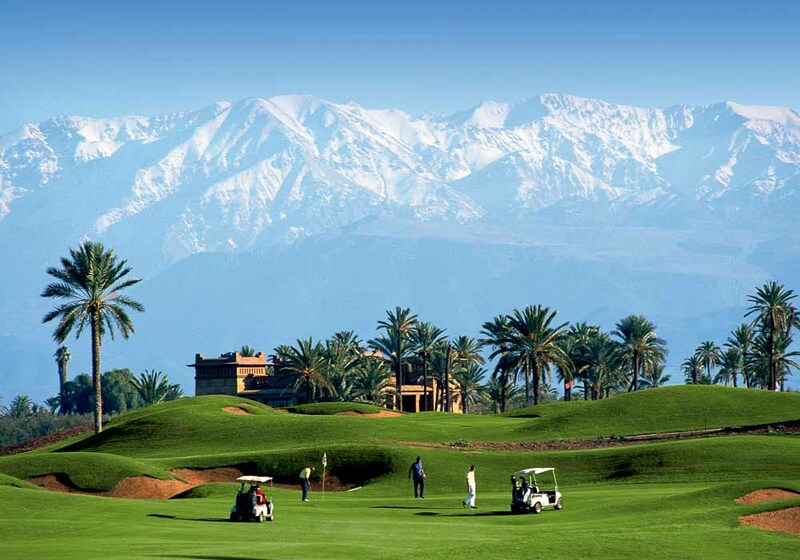 Why let your golf game go into hibernation, when you can be in Morocco playing on some of the best courses in the world this winter? There are three types of winter golfer. The first sadly consign their clubs to the cupboard until the spring rolls around, looking wistfully out of the window as driving rain batters the pane. The second are hardy souls who stubbornly trek out to the course in all weathers despite howling winds halving their drive distance, and waterlogged greens that make putting akin as easy as playing on porridge. Then there is the third type, golfers who know if they can’t change the weather on the course, they need to change the course instead! Morocco has no ‘off-season’. The weather ranges from ‘sunny’ to ‘glorious’ year round, with temperatures at this time of year in the teens and twenties. Rain rarely stops play either; instead every day seems to be a sun-drenched under blue skies that beckons you onward. Never has the ‘Just one more round’ call been harder to resist. It’s also great value for money; for example green fees at the Assoufid are 850 MAD (roughly £70), while the Royal Golf Dar Es Salam, a course on the PGA European Tour, charge just 650MAD (around £55). 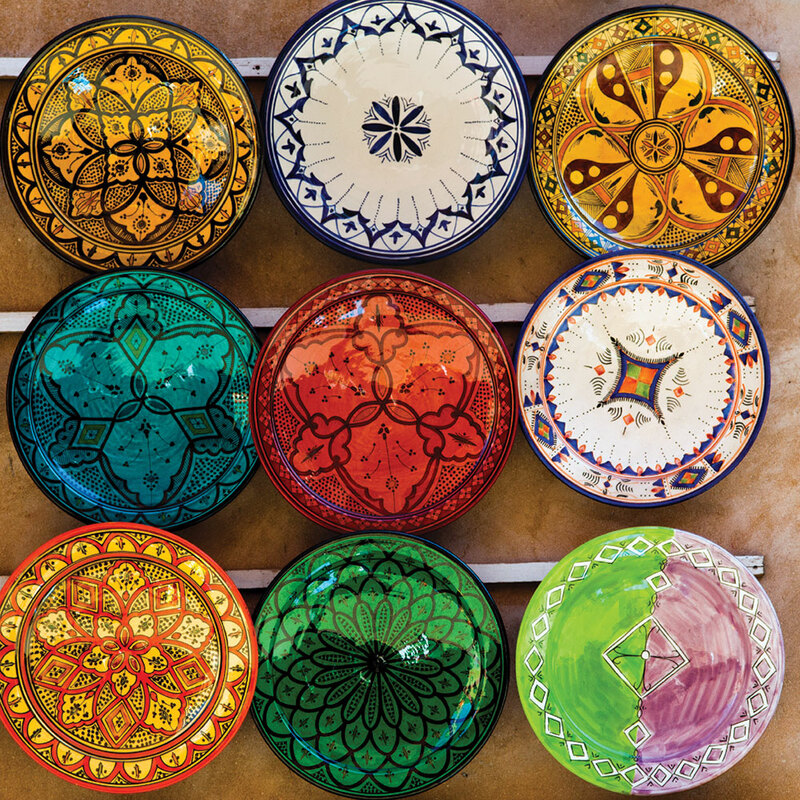 The Assoufid was opened in 2014, just five miles south of Marrakech. 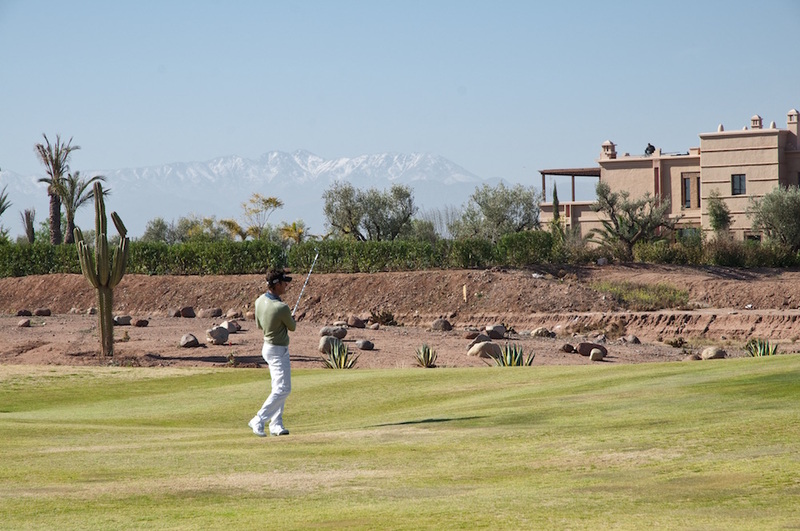 Architect Niall Cameron has been careful to run most of the fairways north/south, giving players memorable views of the Atlas Mountains as they play around the course. 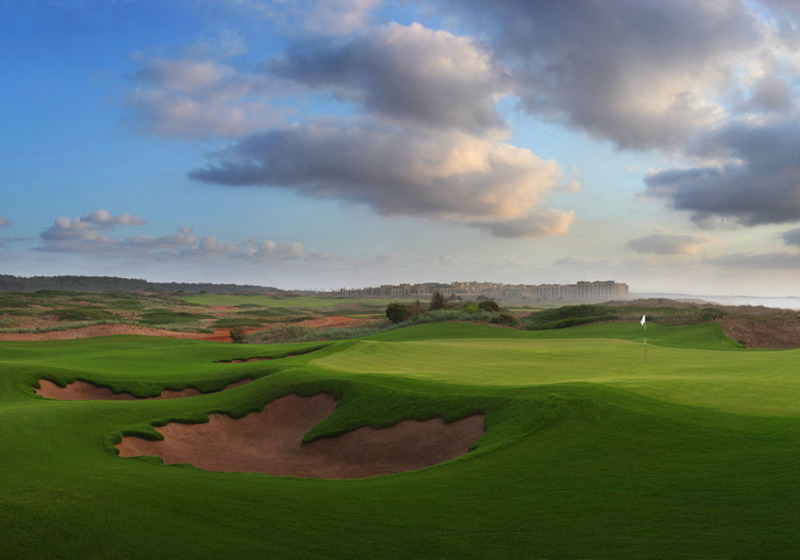 The Mazagan Resort is just outside El Jadida, a luxurious holiday complex of swimming pools, night clubs, villas and more, including a spectacular, Gary Player designed golf course with long fairways, exquisitely contoured greens and spectacular scenery. Sadly you won’t get to play this one without a personal invite from the king, but you may have seen the professionals playing it on the European Tour over the last few years. Set in the grounds of the king’s palace in Agadir, two holes of this course, the 2nd and 18th, made it onto the toughest 18 holes in the world by players on the PGA tour. Taghazout, a short distance from Agadir, is more famous for the world-class waves that draw surfers from across the globe, but this course is exhilarating in its own way. Set on the clifftops overlooking the ocean, the Tazehzout Resort course is challenging and dramatic, you need to be on your mettle with this one. Jack Nicklaus made his Moroccan debut with the Samanah course in Marrakech. It has many hallmarks of the Golden Bear’s designs – fast courses that blend in with their surroundings, with clever features that reward skilful players but don’t punish the less skilled. With lovely wide playing corridors lined by mature trees, an undulating track and plenty of Atlantic views, this Gary Player course, near to Essaouira, is a joy from start to finish. The senior statesman to all the new Marrakech courses, Robert Trent Jones designed this Rabat course in the 1960s, and over fifty years later it still takes some beating. The red track is a huge 7,372 yards and it has quite accurately been described as ‘a course fit for a king.’ It will play host to the Trophee Hassan II, and the European Tour until at least 2018.